Android apps use the Java client library to make web service calls (REST) to either the Docmosis Cloud Services or a Tornado Service you are running locally. 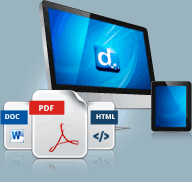 Whether you need to convert to PDF in Java or have your app create word documents, the Docmosis Java SDK can help. Generate PDF, DOC, DOCX, RTF, ODT documents from your Android app. Today you're writing a great app and you realise that you need to produce a report from the app containing data and images. You decide PDF is the way to go. As you start working out how to build PDF documents using libraries you realise you don't have enough time. Then a friend points out that some editable format (Doc, DocX, RTF, ODT) would be better so users can tweak the final document. What to build first? How many libraries are needed? Docmosis can help. Your app gains great document production capabilities with minimal footprint on the mobile device - document templates, email/streaming, many output formats and powerful template features. Your templates are managed with normal word processors and stored with Docmosis either in the cloud or locally with your Docmosis Tornado server. Your app calls Docmosis with data and tells it to populate the template and deliver it back to the mobile platform, email it to someone, or both. 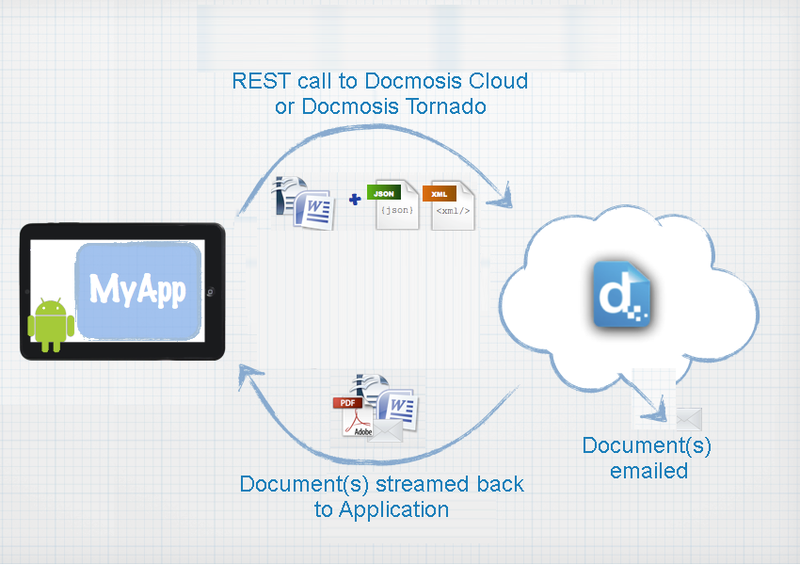 The Docmosis Android SDK is a light weight library allowing your app to reach the Docmosis Cloud Services easily. Add the library to your project and call the render function with the settings and data to populate. The SDK is free and you can try it out with a free trial of the Docmosis Cloud Services or the Docmosis Tornado server.